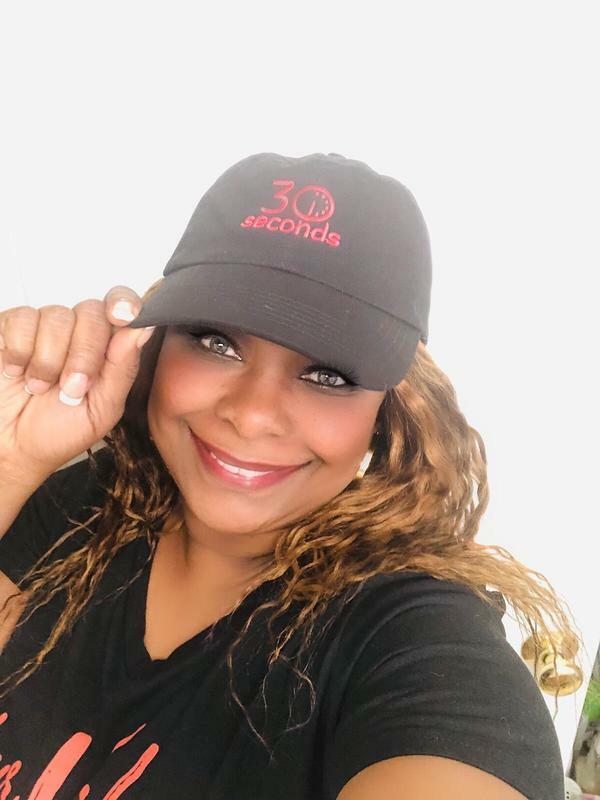 Let everyone know you're a member of our 30Seconds community with this cozy black V-neck T-shirt by Port and Company! It's so chic and comfy, you'll want to wear it every day. 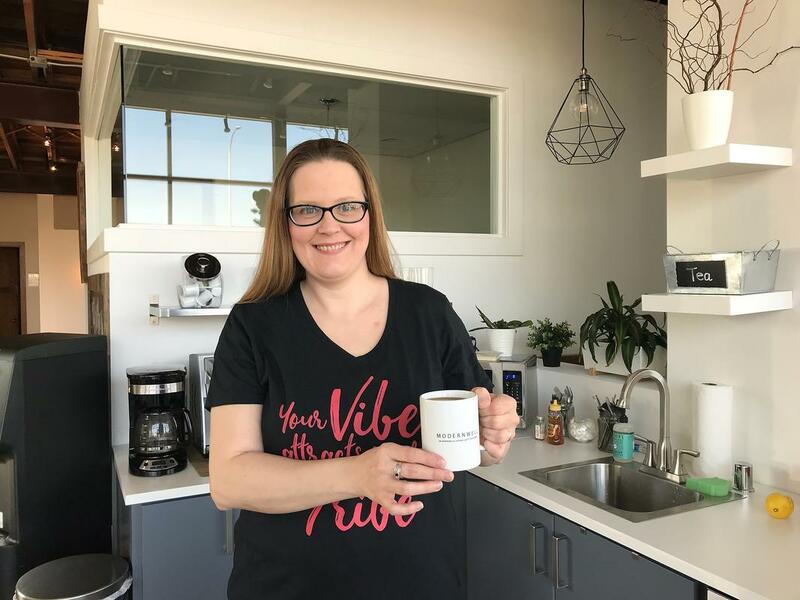 The soft poly-cotton blend holds its shape from washer to dryer, with a fit that's not too clingy (for real women's bodies!). 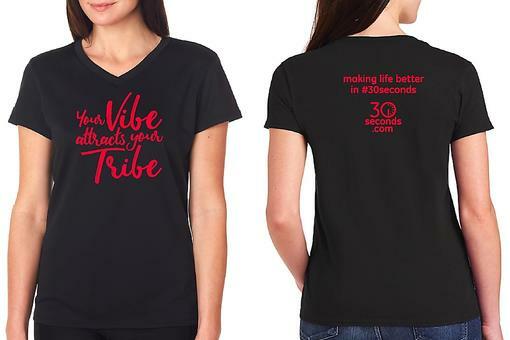 Best of all, you'll be making a fun statement: The front says, "Your vibe attracts your tribe," and the back says, "making life better in #30seconds." 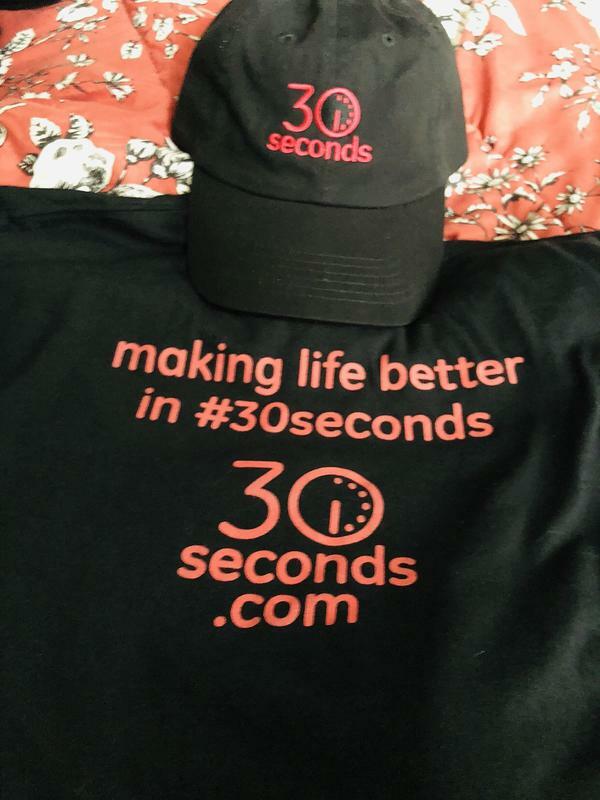 Along with the 30Seconds.com logo, natch! 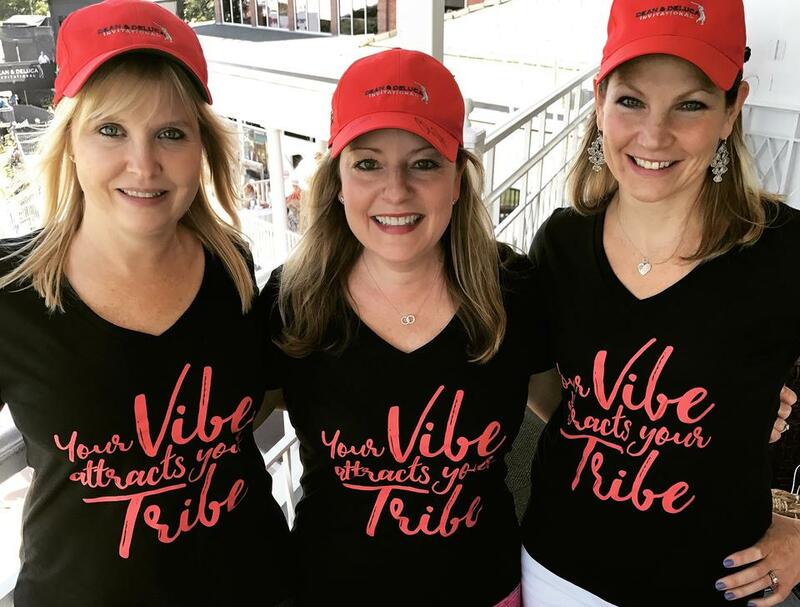 When Donna, Meredith and Elisa wore these out at the Dean & DeLuca PGA Invitational, everyone wanted to know where they got it. 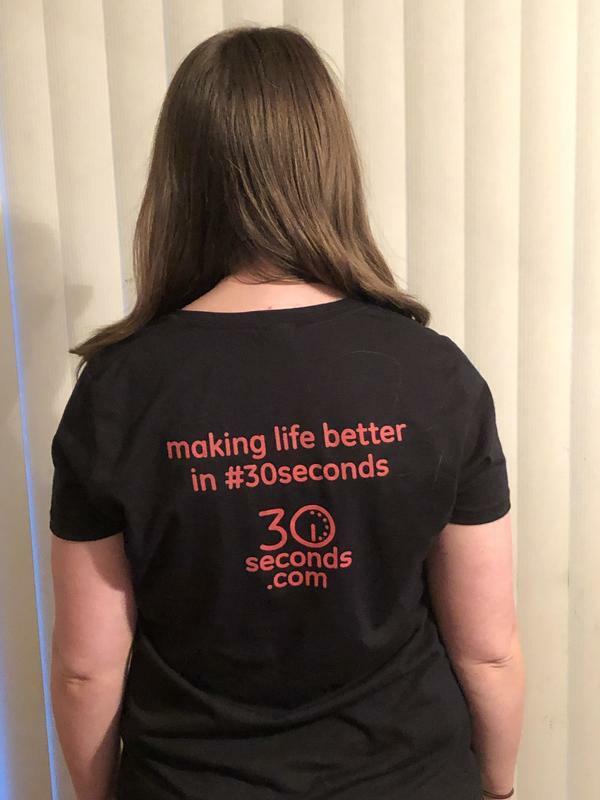 It's only available in our 30Seconds Rewards Store. 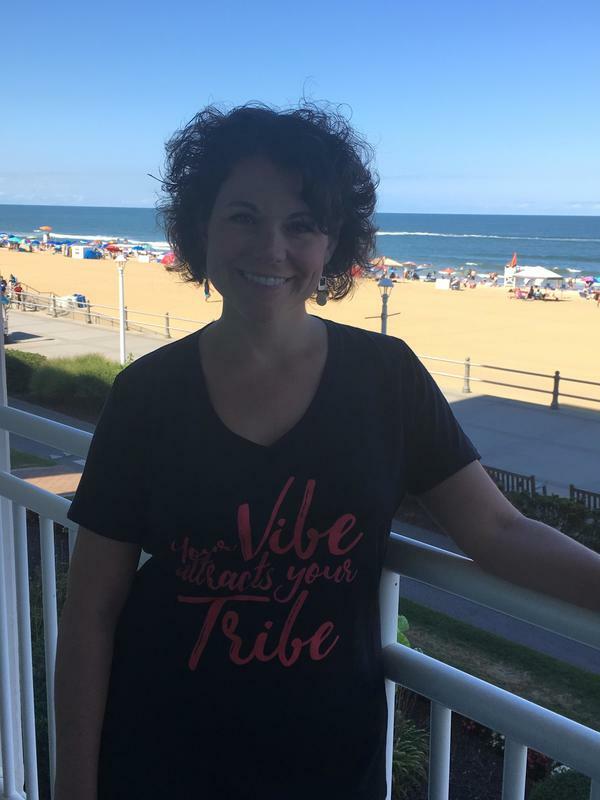 So show your tribe pride and make your day by ordering one now! 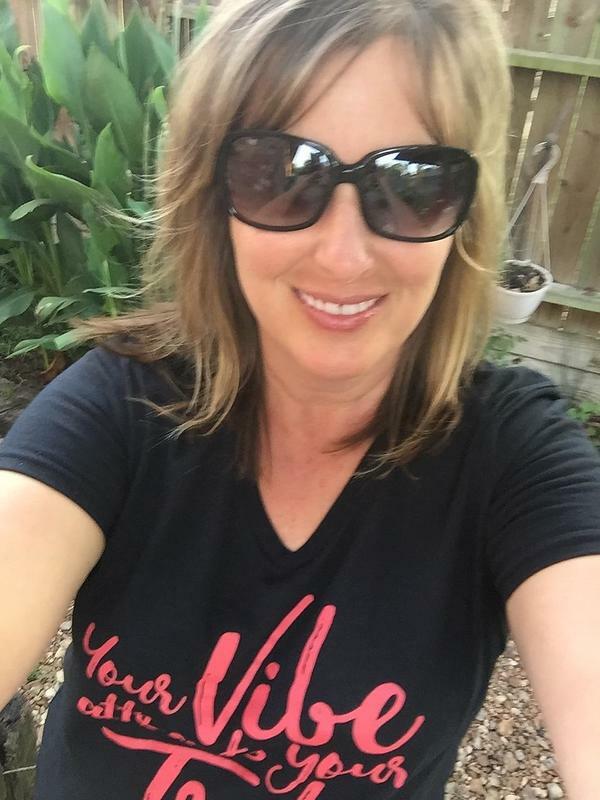 Hey Kim Kusiciel - I hope it arrived and it fits! Let us know how you like it! 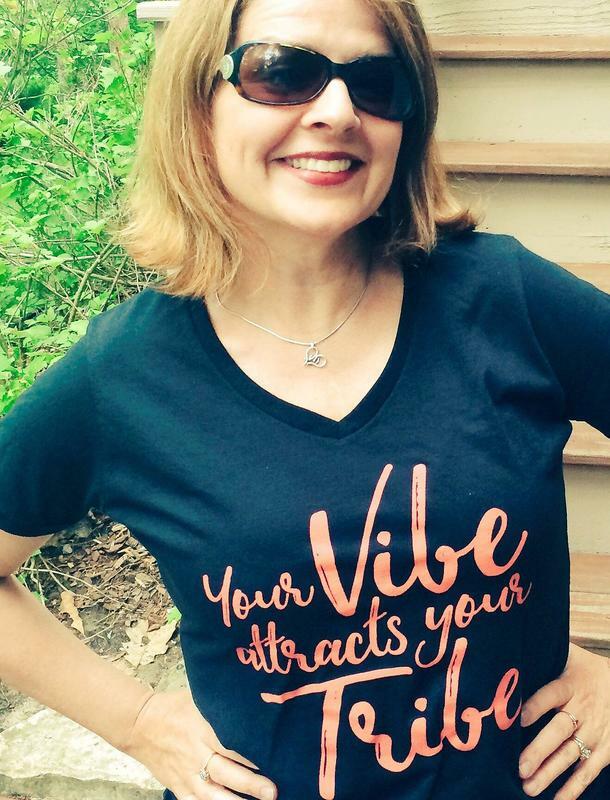 Hey Pam McCormick - can you post your pic of you in your shirt and let Kelli Schulte know how it's running, size wise? I'm wearing a small but also could wear a medium if I want a looser fit. Jan Mostrom thought they were pretty true to size, I think! Donna John and Meredith Schneider - what do you think? Thanks! They run very true to size. And it didn't shrink. Love it! I ordered a med. I like loose and it's perfect although I haven't worn it after washing yet. Elisa All Schmitz 30Seconds did yours shrink? If not I'd order your regular size, Medium for me! Mine didn't shrink at all. I got a Medium. 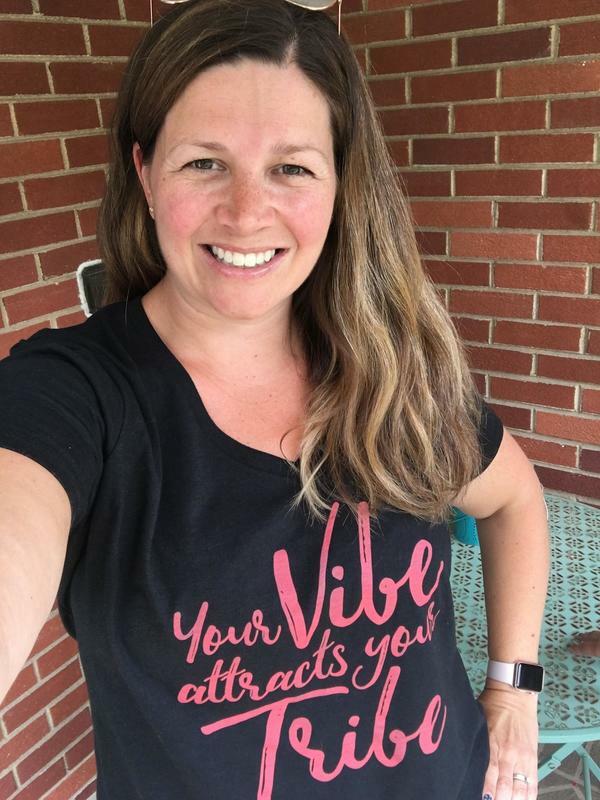 I ordered a medium and love the fit! What size clothes do you wear? I'm trying to figure out what size to order. I don't like tight t-shirts! 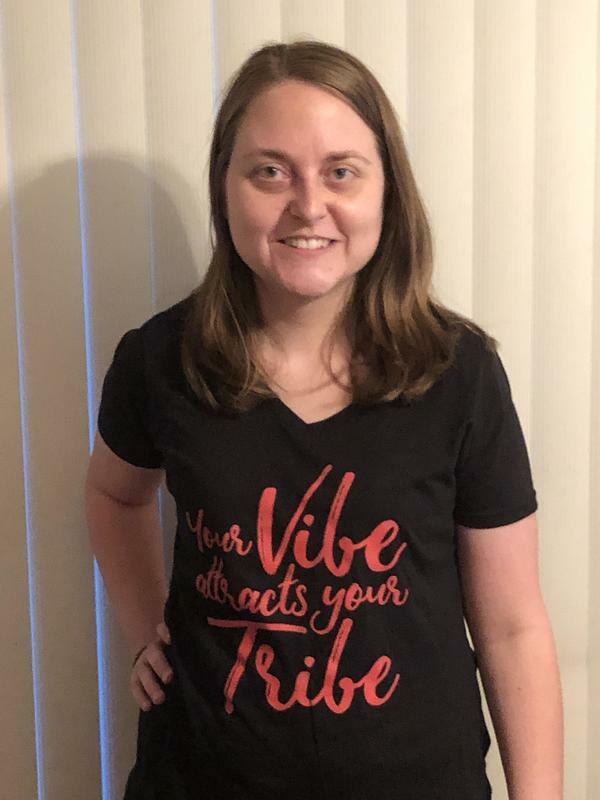 I just love my tribe shirt! 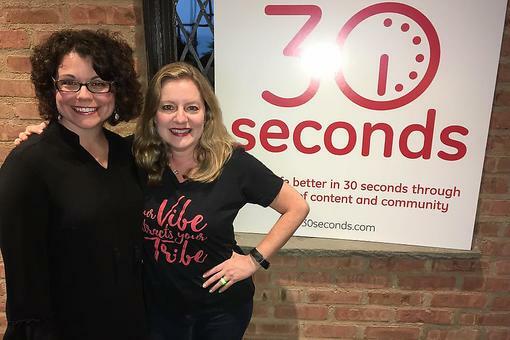 Love this photo, Kelli Schulte ! 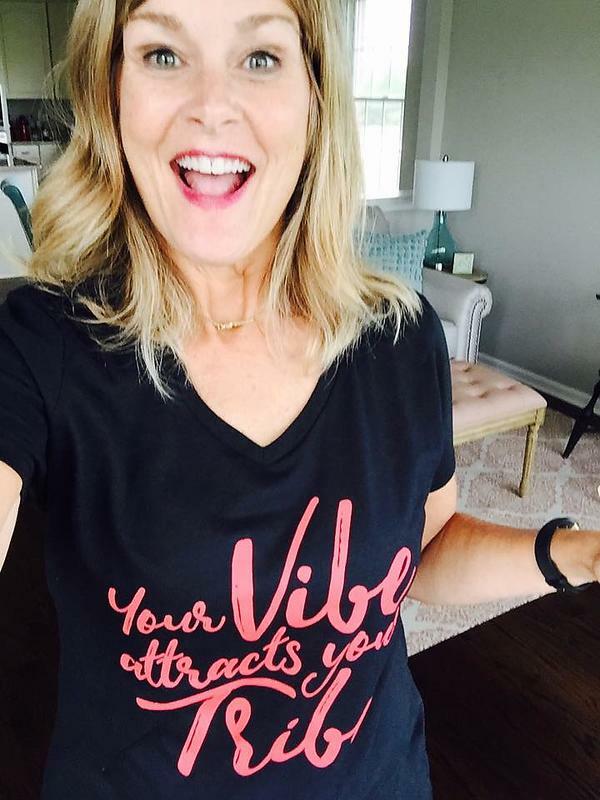 You are gorgeous and rockin that shirt! 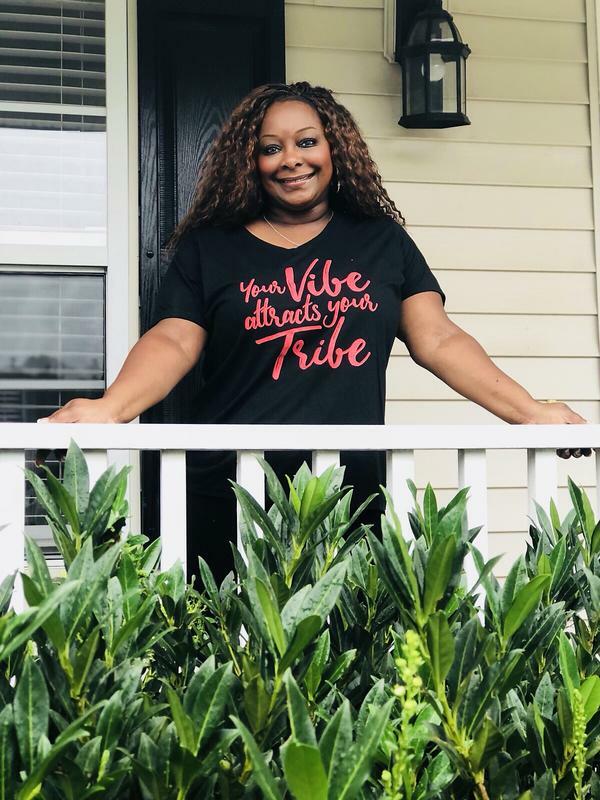 Thanks so much for being part of our tribe. We ❤️ You! 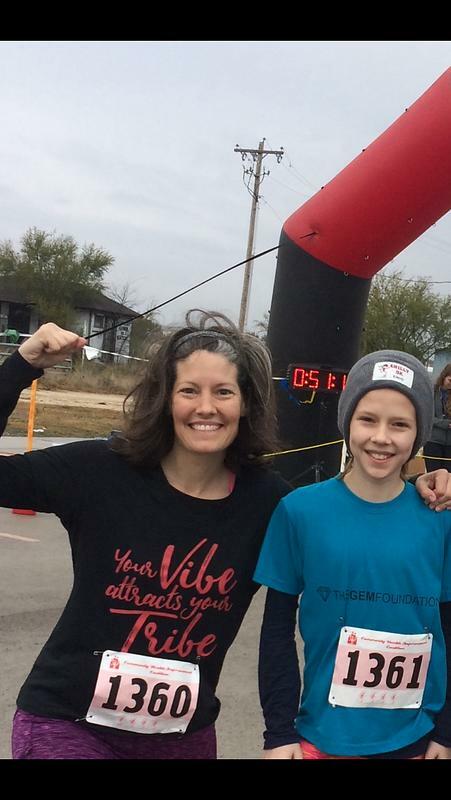 Rocking my tribe T at the Chilly 5K this past weekend! 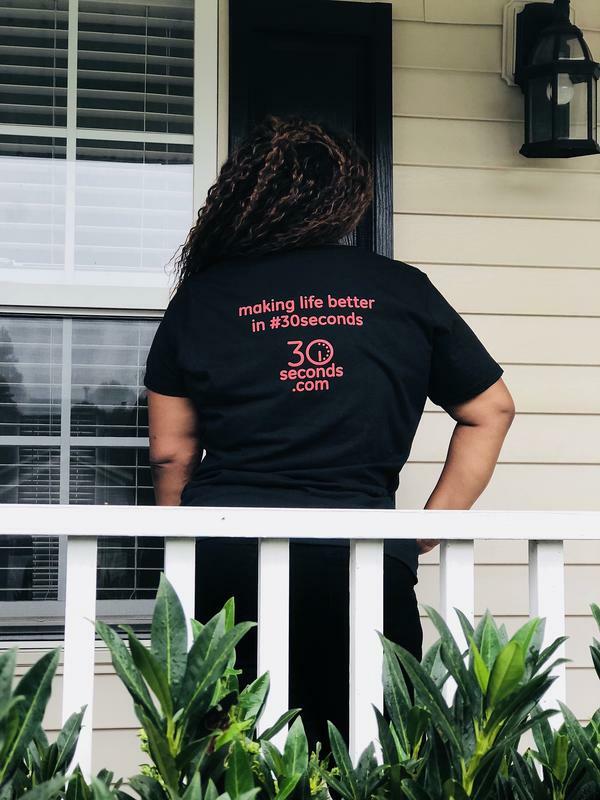 These shirts are amazing! I love how they are cut to fit a curvy figure! 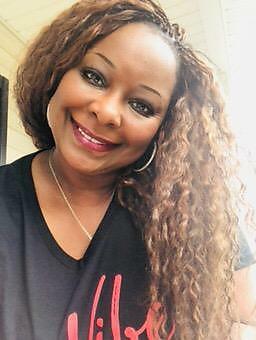 So, I'm typically a size 6 or 8, but I'm a bit chesty and don't like t-shirts that are tight in the chest. I usually get Medium t-shirts. Do you think that would be the right size for me here? Thanks! Trying to figure out if I should get a medium or a large?